This post contains Wordscapes Levels 1101-1200 Answers. Wordscapes game is developed by People Fun Inc and can be downloaded for free into your smartphone. There are more than 5200 levels available for you to solve. 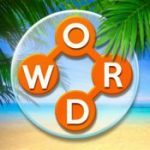 If you found all Wordscapes Levels 1101-1200 Answers and want to find another pack then head over to our main post at Wordscapes Answers All Levels.